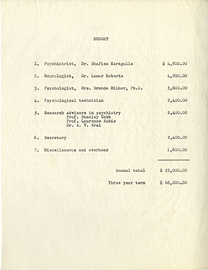 The items found in this section represent the largest portion of the Osler Library's Wilder Penfield fonds, including Penfield's professional and personal correspondence, research notes, and manuscripts of his writings from the time he moved to Montreal in 1928 until his retirement from surgical practice and the directorship of the Montreal Neurological Institute (MNI) in 1960. 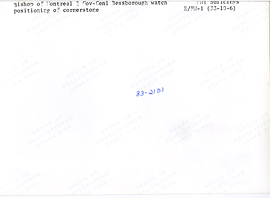 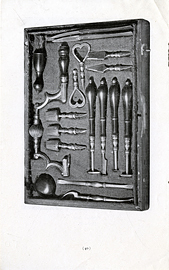 The small portion of material offered here highlights particular significant events during Penfield's career in Montreal. 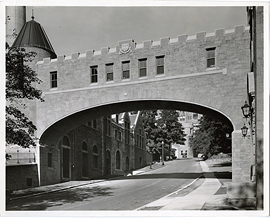 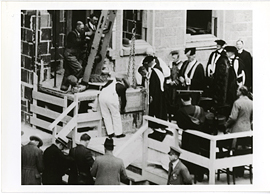 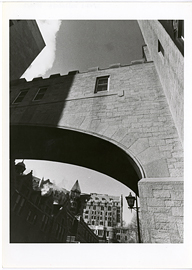 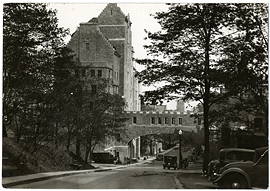 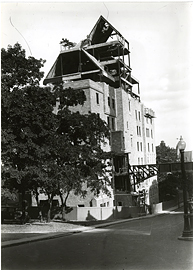 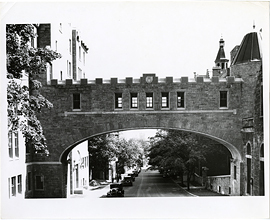 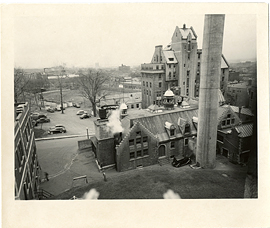 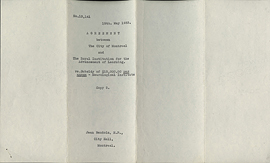 Most significantly the material includes correspondence between Penfield and both McGill and the Royal Victoria Hospital concerning his move to Montreal, his proposal for the establishment of the MNI, negotiations with the Rockefeller Foundation and other funding bodies for the funds to construct the institute, and images of and letters regarding the construction and opening of the MNI in 1934. 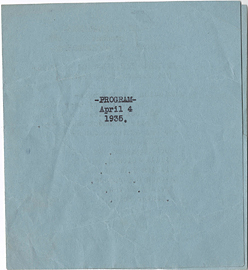 Other materials found in the section include correspondence concerning various research projects, researchers, research grants, and administrative details from between 1928 and 1960. 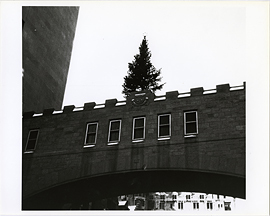 Christmas tree atop the bridge connecting the Montreal Neurological Institute and the Royal Victoria Hosptial, photograph. 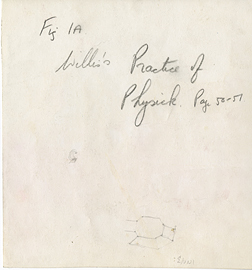 Christopher Wren, Diagram of the Brain, diagram (back). 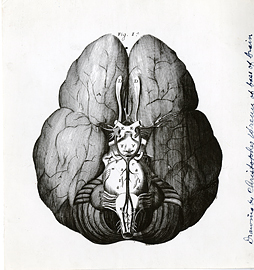 Christopher Wren, Diagram of the Brain, diagram (front).